We’ve done with lesser things. The church for you does wait. Rise up of men of God! 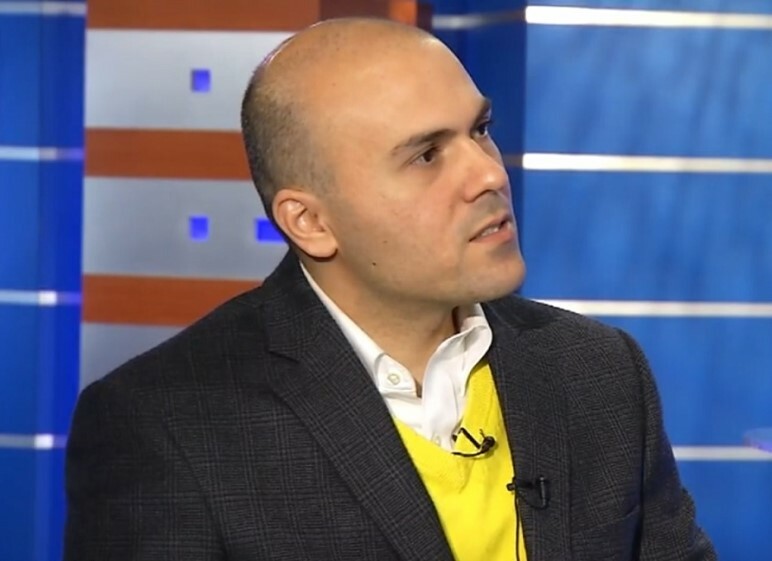 Iranian-American Pastor Saeed Abedini argues that there are some pastors in America who instead of helping Christians grow, are standing in the way of revival, and suggests that church walls, or obstacles separating Christians from reaching society, must fall. “After being far from the USA for four years and in prison and thousands of hours of prayer have happened, I see that more Christians seem ready to step into revival but not all pastors and leaders,” Abedini reflected in a Facebook post on Friday. “Iranian-American Pastor Saeed Abedini argues that there are some pastors in America who instead of helping Christians grow, are standing in the way of revival, and suggests that church walls, or obstacles separating Christians from reaching society, must fall. He added that he has seen Christians in America want to “stand up for the Lord and shine for Him,” but some pastors discourage them from doing so. “Maybe world politics has become the master in some churches and in others money is master. Sometimes pride or a denomination or race has kept people out,” he continued. He defined revival as an “awakening of the heart toward God,” adding that it “first and foremost starts in the heart.” “Revival is a stirring of passion for God and heavenly priorities,” he added. “In true revival, not only is the heart awakened but empowered with a godly passion to love and serve the Living God”. Our brother’s comments need no further illumination, as they are 1000% true, and need not to be ignored. The soul of America is sorely sick, and the antidote to that infirmity is the Lord Jesus Christ, as he is allowed to live and move and minister through His church. How can that take place when the church itself is lethargic, and spiritually weak? Rise up O men of God! Or get out of the way! Let’s remember Paul wrote this under the inspiration of the Holy Spirit and he wrote it to Christians who had become lethargic. He wrote it to followers who would leave Jesus as their first love. The time has come for us to stop ignoring the message of the Lord Jesus calling us to repent and return fully to Him. This entry was posted in America, Christianity, despair, prayer, revival, spiritual sickness, The Bible, the Chruch, Word of God, worldliness. Bookmark the permalink. 3 Responses to Rise Up O Men of God… or Get Out Of the Way!!! Where are the Prophets of our day? They are here,but no one is listening, especially in the church of America. What we need is persecution to sift the wheat from the tares. Just like in Syria, where there is revival because of persecution. God calls us to be the light in the darkness. Interestingly, when prophets spoke in the O.T.it was after the LORD had decided the people and the leader would not listen. Israel had a habit of ignoring the LORD until calamity came, then they would whine for deliverance. God's N.T. prophets have been speaking over the last 100 years… Tozer, Ravenhill, Wilkerson, yet we have not listened. The Church needs to begin considering her ways. “For the time has come for judgment to begin at the house of God; and if it begins with us first, what will the outcome be for those who do not obey the gospel of God?